But the car manufacturers live in a different reality. Together they produce about 100 million cars annually. They can’t afford shooting for the moon, but instead have to focus on next year’s model. They need to adopt technology that is available at reasonable cost and in volume today. 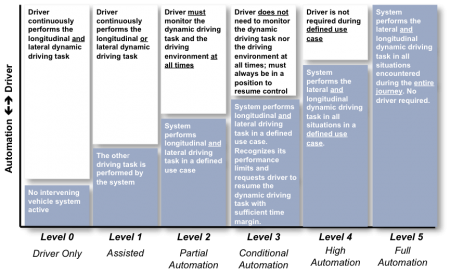 The field of automotive ADAS solutions is growing rapidly. Several systems are already on the market and even more are in development. To help you navigate the many acronyms in use, we’ve collected a list of acronyms. Please don’t hesitate to contact us if you have more you’d like to see added to this list. 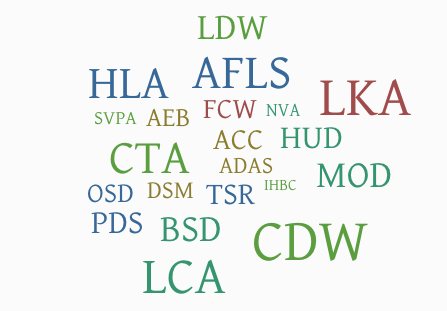 Some of the acronyms that we explain in the article: ACC, ADAS, AFLS, AHBC, ALC, ANV, AEB, APS, BSD, BSM, BSW, BOP, and many more. During Freescale’s Technology Forum a couple weeks ago, Apple co-founder Steve Wozniak was interviewed. At one point he’s asked an interesting question: “If you were 24 today, what would you invent?” Steve Wozniak’s answer: “I would be working on chips that take vision in, and turn the vision into a description of what the objects are and where they are.” Watch Steve Wozniak discuss innovation, the evolution of connected devices and his vision of what’s next on Freescale’s homepage. Starting at 3:11 Wozniak speaks about embedded vision. When Google released its first accident reports in June, the company revealed that in the combined 1.8 million miles its cars had been on the road, they had only been involved in 12 minor accidents — none of which were their fault. But this default to caution can cause strange incidents when Google cars run into humans engaging in non-standard behaviour. One such incident reportedly occurred earlier this month in Austin, when a robot car was baffled by a man riding a fixed-gear bike. Ethernet Technology Day October 27-28, Yokohama, Japan Marco Jacobs presents talk ”Video coding and computer vision for automotive Ethernet applications”. CES January 6-9, Las Vegas We will be showing our latest demonstrations at the German Pavilion.